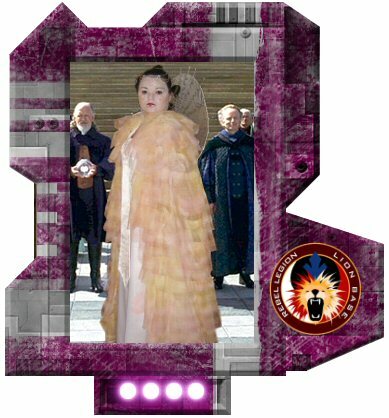 Padmé's ceremonial gown, which she wore during celebration at the end of Episode I.
really want this one since I was nine. and pink. However the fabric I used for the cape is synthetic. one. Pattern is painted with silver liner. Jewelry is my own piece too. I set it from silver wire and rhinestones. Hair piece is fine art made from ponytail I used for my prom. Now, it's usefull again. I wear white leather shoes with my costume.